. : Optics & Photonics Focus :: The reaction chamber where sunlight becomes chemical energy :. 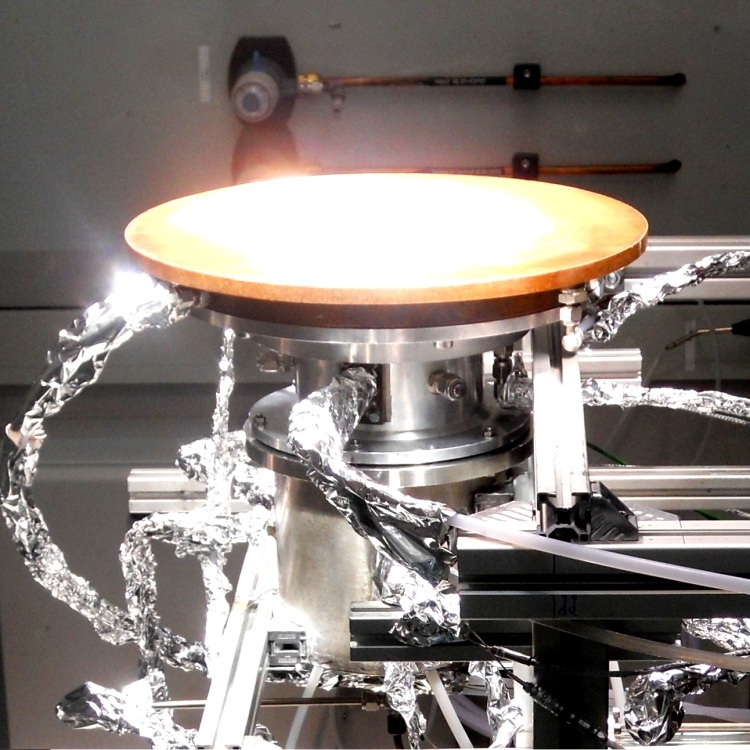 This picture shows the reaction chamber of the new solar collector illuminated by light coming from a solar simulator. A quartz window at the top allows both infrared and ultraviolet radiation to enter the chamber where the cerium oxide is deposited.